Gig shortly before start of master’s program, Labor Day 2009. Serious expression undoubtedly due to thoughts of academic challenges to come. What puts “the funk” in The Funky Adjunct? I play electric bass. In 1977, I received a starter instrument and microscopic amp for my 15th birthday. That fall, I began studying privately with Christopher Roberts, a bassist and composer who was completing his bachelor’s degree. 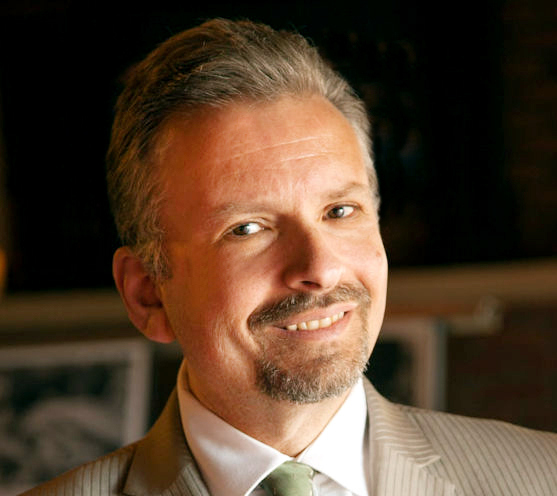 Chris went on to earn his master’s and doctoral degrees from The Juilliard School and today is a college music instructor. A magnificent teacher who can praise and stretch students simultaneously, he remains my role model as a musician and an educator. Two years later, Labor Day gig 2011. Note post-graduation smile (and diploma). 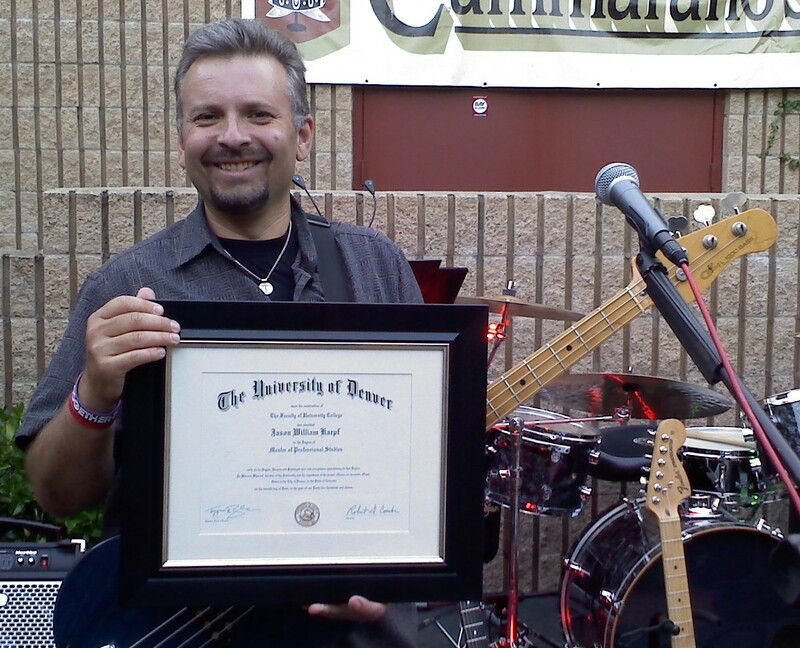 In 1984, I graduated from the Grove School of Music with a certificate in Composing and Arranging. I studied writing and conducting for big bands and orchestras. Most importantly, the program taught me about creativity on-demand, a skill I call upon every time I have to meet a deadline as a college instructor, a PR/marketing professional, or a musician. The Funky Adjunct, early 1982. Merely funky then. After my composing and arranging studies, I went through a 20-year separation from music not unlike leaving my college education. But as was the case with academics, I reunited with musical pursuits. 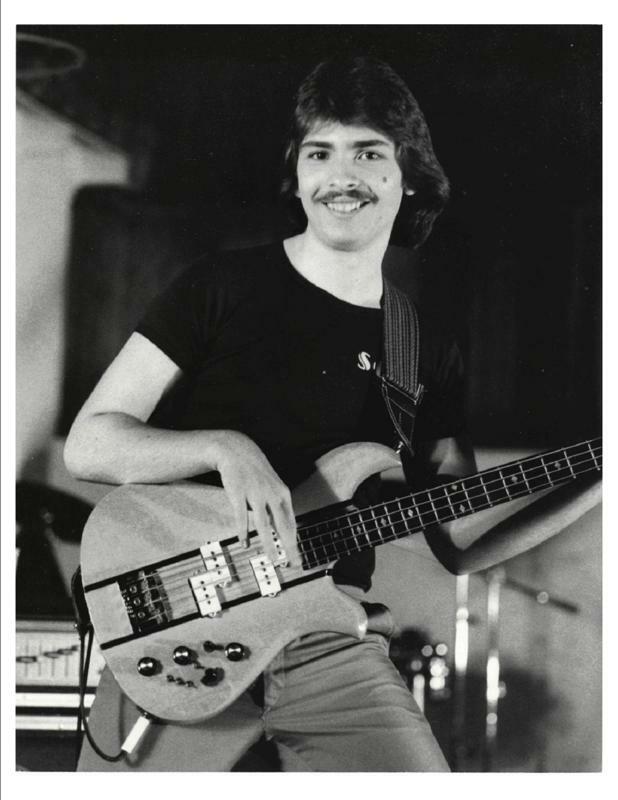 I began playing bass again in my church praise band and various classic rock bands. The callouses, chops and passion all resurfaced. Click here to read “Double Bass,” an article I wrote about my return to music. Click here to hear me playing bass with the classic rock band CBJB. 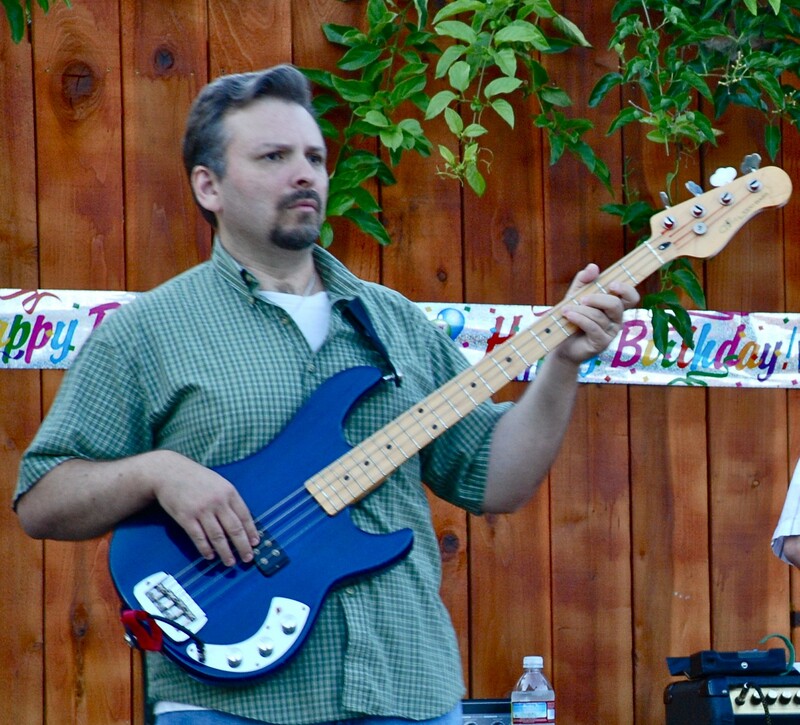 Click here to see me playing bass with the worship team at California Community Church. James Jamerson, main session bassist for Motown during the 1960s. 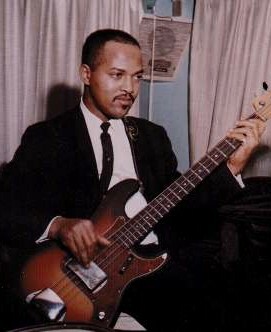 Jamerson brought the electric bass–a relatively new instrument–to the forefront of the musical mix, anchoring “the Motown sound.” Songs such as “Bernadette,” “I Was Made to Love Her” and “I Heard it Through the Grapevine” (Gladys Knight version) exemplify the prominence and improvisation of Jamerson’s bass lines. Paul McCartney, bassist for The Beatles and Wings, solo artist (among his many musical achievements.) 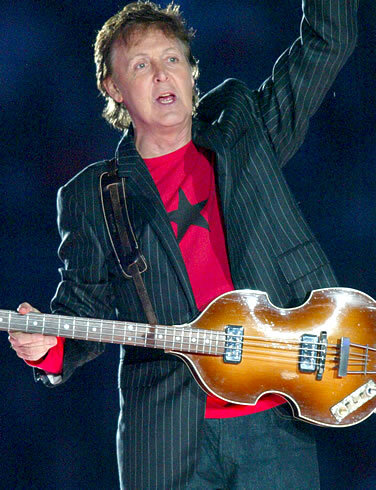 McCartney’s qualities as a composer and frontman infuse his bass playing. Listen to his bass lines moving among the melodies and arrangements of the landmark album Sgt. Pepper’s Lonely Hearts Club Band. 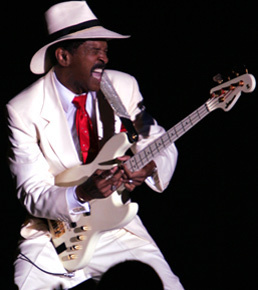 Larry Graham, bassist for Sly and the Family Stone, leader of Graham Central Station, solo artist. Graham is credited as the first practitioner of “slapping” on electric bass; the technique is heard prominently on Sly and the Family Stone’s “Thank You (Falettinme Be Mice Elf Agin).” Graham Central Station’s “Pow” is a slap bass showcase. 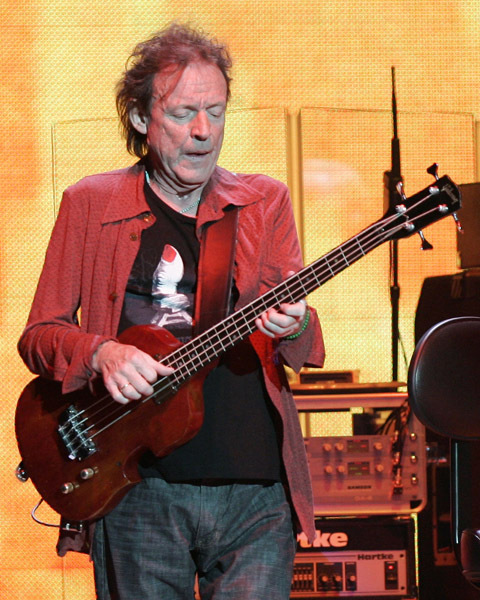 Jack Bruce, bassist for the “supergroup” Cream, solo artist. Trained in cello and composition, Bruce left music school as a teen to pursue his career. It takes a daring bassist to stand toe-to-toe with guitar great Eric Clapton, which Bruce did in Cream. Check out “Crossroads,” recorded live in 1968 for the Wheels of Fire album. Bruce essentially solos on bass while Clapton solos on guitar–and it works! 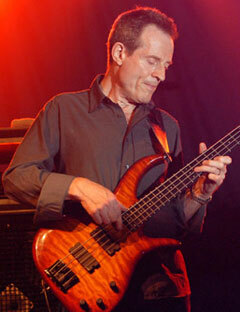 John Paul Jones, bassist for Led Zeppelin, solo artist. An accomplished session musician and arranger, Jones formed Zeppelin with guitarist Jimmy Page in 1968. His bass work melds blues, soul and hard rock. “Good Times, Bad Times” shows Jones’ mastery of playing complex lines and fills while staying tight with the guitar and drums. 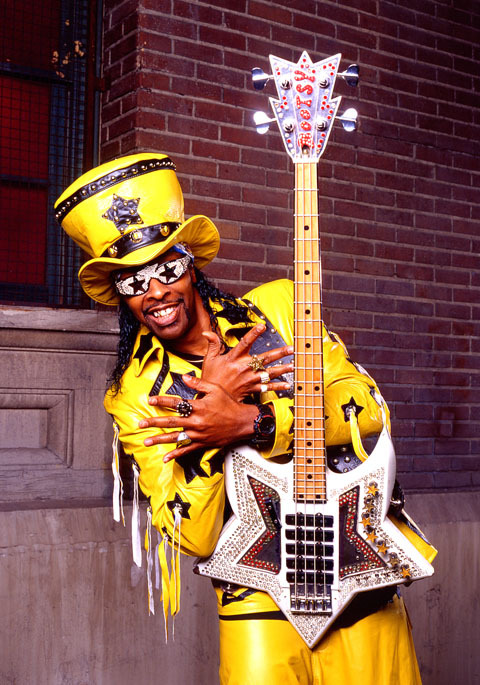 Bootsy Collins, bassist for James Brown and Parliament-Funkadelic, solo artist. Collins gained early visibility playing for “The Godfather of Soul,” James Brown. In subsequent years, he recorded with Parliament-Funkadelic (earning eventual induction to the Rock and Roll Hall of Fame) and Bootsy’s Rubber Band. Collins is head of Funk University, an online school for electric bass. “Tear the Roof Off the Sucker (Give Up the Funk)” is a classic Bootsy Collins groove. There are many more: Louis Johnson, John Entwistle, Donald “Duck” Dunn, Chuck Rainey, Carol Kaye, Dee Murray, Tiran Porter, Leon Wilkeson, Will Lee, Les Claypool, Flea… Who are your favorites? Stanley Clarke has been considered the king of the bassists since I started playing in the late ’70s–an amazing legacy. I love Verdine White too. “September” and “Shining Star” are great showcases of his work.